Smartphones may soon be able to add one more entry to their rolodex of skills: the ability to act as a tool to measure blood glucose levels for those suffering from Type 1 diabetes. After 20 years of research, University of Virginia School of Medicine researchers are in the final testing phases of a system that can automatically measure and monitor blood sugar levels. Early testing produced promising results. Now, researchers say actual patient testing is going well, and the system is circling the landing towards completion. The app—called “InControl”—can control everything people with diabetes need, eliminating the need for finger pricks and manual insulin injections. This ease of the system could prove to be a game-changer in the lives of 1.25 million people who suffer from the disease. The so-called “artificial pancreas” has been in the works since 2006, says lead researcher Boris Kovatchev, director of the Centre for Diabetes Technology in the US. Kovatchev’s own father suffered from diabetes, so he saw firsthand the need for an easier way to live with the disease. “We show that it is not only possible, but it can run on a smartphone,” says Kovatchev. Every five minutes, the system will report blood glucose level results to the app on a nearby android smartphone. It will analyze the data, and if necessary, adjust insulin levels on a small, wearable insulin pump. The app works by controlling an insulin pump: a device which is already used by approximately 350,000 diabetes sufferers in the US. The pump works by delivering user-adjusted doses of insulin to the bloodstream through a very fine needle; it can be worn discreetly under an article of clothing or hooked to a belt. The wireless monitor, which talks to the pump, is as tiny as a flash drive and can be worn anywhere on the body. Together, the two devices create a digital treatment ecosystem of sorts that can handle the burden of the disease. "It runs on a five-minute cycle and takes information from these devices and calculates the next best option for the patient pretty much any point in time,” said Chad Rogers, the CEO of TypeZero Technologies, which has licensed and refined the technology. 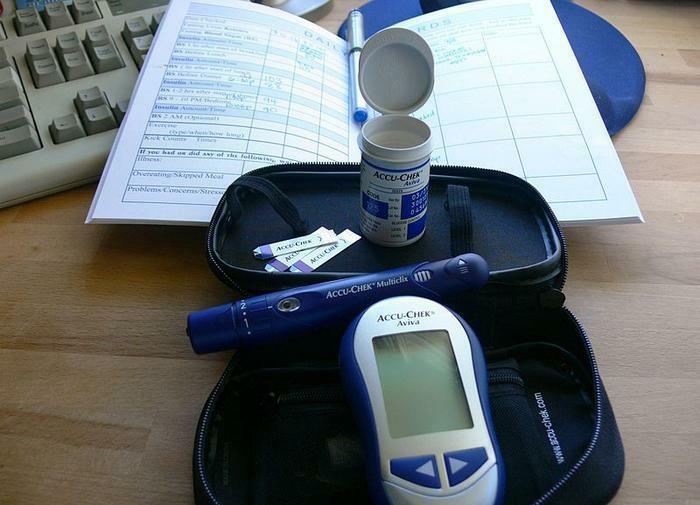 The ultimate goal is to make managing Type 1 diabetes automatic and effortless. UVA researchers have brought the system to nine locations across the U.S. and Europe to try it on 240 patients. Researchers hope to have the trials complete and the system perfected in four years. 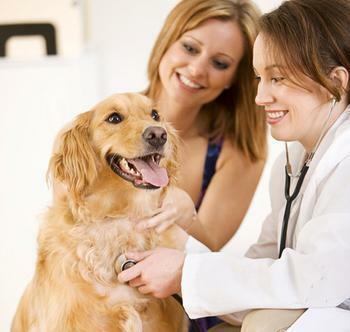 Diabetes is, unfortunately, a relatively common disease in dogs, just as it is in humans. In both species, obesity and a sedentary lifestyle can be contributing factors, although dogs are more likely to develop Type 1 diabetes -- the kind that is caused by inadequate production of insulin by the pancreas rather than by lifestyle factors. Thus, heredity gets most of the blame in dogs, as the disease occurs more widely in some breeds than in others and in some families within breeds. It can also result from repeated bouts of pancreatitis, inflammation of the pancreas. Pet owners sometimes blame their pet's food for diabetes, pancreatitis and other conditions. "I have been feeding my 4 Chihuahuas Science Diet for 8 years. They are 10 and 11 years old and all 3 have diabetes and one has kidney problems from the dog food," said Cathy of Van Bureau, Ark., in a ConsumerAffairs posting. Medical authorities aren't likely to agree with Cathy, however. "It is usually unclear why one pet develops diabetes and another does not. It is likely that many factors are involved and that most of them were beyond your immediate control," says Ron Hines, DVM, PhD, a widely-quoted Texas veterinarian. Whatever the cause of your pet's diabetes, just as in humans, keeping it under control involves eating a proper diet -- one prescribed by the veterinarian who is caring for your pet -- as well as seeing to other lifestyle factors that can have a big influence on how well your dog manages its diabetes. It's important to remember that Type 1 diabetes cannot be cured but it can be managed with daily injections of glucose and careful monitoring of blood sugar levels. Just like humans, dogs with Type 1 diabetes don't manufacture enough of the insulin that's needed to transfer glucose from the bloodstream into the cells, where it's needed to maintain life. Thus, a dog whose diabetes is not properly managed can quickly develop too much sugar, or glucose, in the bloodstream while, at the same time, its muscle and nerve cells are starving because of inadequate glucose. This can lead to serious complications, including death, so it's not to be taken lightly, which brings us back to careful monitoring of blood sugar levels. "There is absolutely no question in my mind that the best way to monitor pets with diabetes to aid in regulating insulin levels is for the veterinary client to learn to monitor blood sugar at home using a blood glucose meter," said Dr Mike Richards, DVM, in a posting on VetInfo.com. "If your vet is one of those who discourages clients from attempting home glucose monitoring I personally think that you ought to change vets, at least for the pet with diabetes, unless there is a really compelling reason to stay." What kind of food is best for a diabetic dog? The simple answer is, the kind your veterinarian prescribes. In general, these will be high-fiber foods that are low in simple sugars. This helps prevent fluctuations in blood sugar levels throughout the day. There are many prescription dog foods and chances are, your vet will prescribe one or more. Whether your dog will eat it is, of course, another matter. If your dog refuses to eat the food your vet prescribes, you may have better luck with over-the-counter foods that are intended for overweight dogs. Again, check with your vet. Dogs that refuse to eat prescribed foods may need additional insulin injections. Most dogs are creatures of habit. Left to their own devices, they tend to do the same thing at the same time day in and day out. Fortunately, this is exactly what your veterinarian is likely to prescribe for your dog -- a consistent schedule that combines feeding, insulin injection, exercise and the lounging about that is the specialty of most dogs. If your dog is a female, it's important to have her spayed, as the pregnancy and reproduction routine causes wild fluctuations in hormones, just as it does in humans. This is bad news for diabetes management. Also, since diabetes is regarded as primarily hereditary in dogs, spaying diabetic dogs helps to hold down the number of affected animals. As in humans, diabetes is a serious disease that cannot be taken lightly. If your dog is not treated properly, it will not have long to live. So take action promptly and follow your veterinarian's instructions. Adults with type 2 diabetes have a new treatment option. 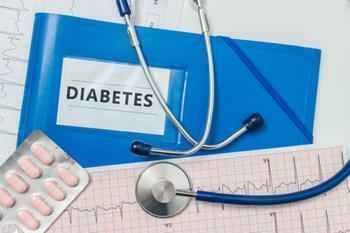 The Food and Drug Administration has approved canagliflozin tablets, which are marketed as Invokana, to improve glycemic control. The pills are to be used in conjunction with diet and exercise. Approval of the drug came after it was evaluated in nine clinical trials involving over 10,285 type 2 diabetes patients. There are some side effects associated with the medication, including vaginal yeast infection, urinary tract infection and a sudden fall in blood pressure when standing up. Learn more about Inkovana and its uses here. A study of two "lifestyle intervention" diabetes prevention programs finds the programs resulted in weight loss, as well as improvements in waist circumference and fasting plasma glucose level for overweight or obese adults compared with usual care over a 15-month period. “Proven effective in a primary care setting, the 2 DPP-based lifestyle interventions are readily scalable and exportable with potential for substantial clinical and public health impact,” said the authors of the report of a randomized trial published Online First by Archives of Internal Medicine, a JAMA Network publication. With an estimated 69 percent of U.S. adults overweight or obese, diabetes prevention is a top public health and previous studies have found that lifestyle modifications that focus on modest weight loss (5 percent to 10 percent) and moderate-intensity physical activity are associated with a reduced incidence of type 2 diabetes. But, the study authors said, there has been a failure to incorporate weight management into clinical practice, according to the study background. Jun Ma, M.D., Ph.D., of the Palo Alto Medical Foundation Research Institute, Palo Alto, Calif., and colleagues evaluated two adapted diabetes prevention program (DPP) lifestyle interventions among overweight or obese adults who were recruited from one primary care clinic and had pre-diabetes, metabolic syndrome, or both. The Evaluation of Lifestyle Interventions to Treat Elevated Cardiometabolic Risk in Primary Care (E-LITE) was a primary-care based randomized trial designed to evaluate the effectiveness of the adapted DPP lifestyle interventions. Participants were assigned to one of three groups: a coach-led group intervention, a self-directed DVD intervention or usual care. The behavioral weight loss program was delivered during a 3-month intervention phase by a lifestyle coach or home-based DVD and then was followed by a 12-month maintenance phase, according to the study. The participants (47 percent of whom were women) had an average age of nearly 53 years at baseline and an average body mass index (BMI) of 32. At month 15, the average change in BMI from baseline was -2.2 in the coach-led group,-1.6 in the self-directed group and -0.9 in the usual care group. The percentage of participants who reached the 7 percent DPP-based weight-loss goal were 37 percent and 35.9 percent in the coach-led and self-directed groups, respectively, compared with 14.4 percent in the usual care group. Compared with the usual care group, improvements reached “statistical significance” for waist circumference and fasting plasma glucose levels in both interventions, according to the study results. Diabetes is becoming a more common disease in the U.S. but one that remains little understood by those most at risk. An estimated 26 million U.S. children and adults have either diabetes 1 or 2 and another 79 million have what is known as “prediabetes,” meaning they are at risk of developing type 2 diabetes. Type 1 diabetes is a condition in which the body does not produce insulin. It usually develops in children or young adults and is nowhere near as common as type 2, comprising only 10% of all U.S. diabetes cases. Type 1 is primarily genetic, meaning it's not related to lifestyle. Type 2 diabetes usually develops from lifestyle factors, such as poor diet and excessive weight. It's similar to type 1 in that insulin levels are out of control. The result is excessive levels of blood sugar. Some people may be able to control type 2 diabetes symptoms by losing weight, eating a healthy diet, exercising, and monitoring their blood glucose levels. But it's usually a progressive disease and the patient will probably have to take insulin to treat it. Because of America's obesity epidemic, type 2 diabetes is growing at an alarming rate. A late 2012 study by the U.S. Centers for Disease Control and Prevention found 18 U.S. states saw diabetes cases increase more than 100% from 1995 to 2010. The report, appearing in CDC's Morbidity and Mortality Weekly Report, found that states with the largest increases are Oklahoma (226 percent), Kentucky (158 percent), Georgia (145 percent), Alabama (140 percent), and Washington (135 percent). "Regionally, we saw the largest increase in diagnosed diabetes prevalence in the South, followed by the West, Midwest, and Northeast," said Linda Geiss, a statistician with CDC's Division of Diabetes Translation and lead author of the report. "These data also reinforce findings from previous studies, which indicate that the prevalence of diagnosed diabetes is highest in the southern and Appalachian states." Undiagnosed, diabetes is extremely serious. Those with the disease can lose limbs and their eyesight and they can die from its complications. How do you know if you have it? Being obese or overweight is a major risk factor. Having a lot of visceral fat, also known as central obesity or belly fat, is a risk multiplier, causing the body to release chemicals that can play havoc with the body's cardiovascular and metabolic systems. The risk also increases as a person ages, though experts aren't sure why. According to the National Institutes of Health (NIH), symptoms of diabetes include blurry vision, excessive thirst, fatigue, hunger, frequent urination and unexplained weight loss. 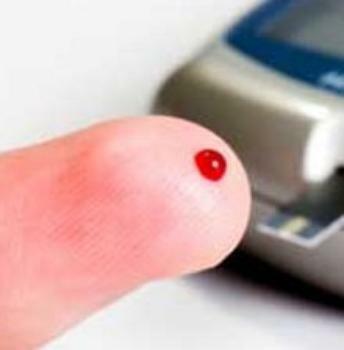 Symptoms of type 1 diabetes develop over a shorter period of time. People may be very sick by the time they are diagnosed. A urine test may reveal elevated blood sugar levels but by itself does not diagnose diabetes. Measuring blood sugar levels after fasting is a much more reliable method. According to NIH, diabetes is diagnosed if the fasting blood glucose level is higher than 126 mg/dL twice. Levels between 100 and 126 mg/dL are called impaired fasting glucose or pre-diabetes. These levels are risk factors for type 2 diabetes. 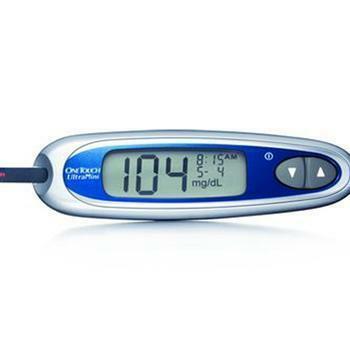 Once diagnosed, a patient will need to measure their blood sugar daily using a glucose meter. While diabetes is normally treated with insulin, University of Michigan (U-M) researchers have found that amlexanox, an off-patent drug currently prescribed for the treatment of asthma and other uses, also reverses obesity, diabetes and fatty liver in mice. Saltiel is teaming up with clinical-trial specialists at U-M to test whether amlexanox will be useful for treating obesity and diabetes in humans. Can you stop type 2 diabetes with a single shot? Salk scientists, writing up their latest findings in the journal Nature, say that you can and that they have. The result could be a whole new generation of drugs that could safely and effectively stem the rising type 2 diabetes epidemic. The magic bullet in this case is the protein FGF1. The Salk experiments discovered that a single injection could restore blood sugar levels to the safe range for several days. More significant, perhaps, the experiments showed that sustained treatment doesn't just act as a controlling mechanism but actually reduces insulin insensitivity, the underlying cause of the disease. 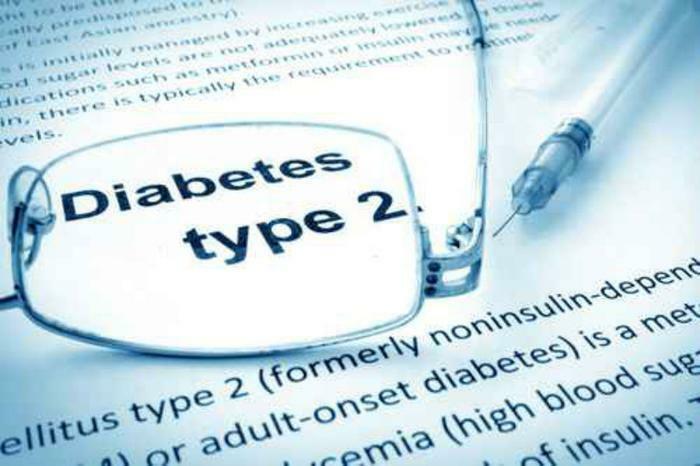 Type 2 diabetes is different from type 1, in that type 1's cause is mostly genetic while type 2 is largely caused by obesity and an unhealthy lifestyle. Not surprisingly, type 2 is now the more common form of the disease. When you have diabetes your body causes blood glucose, or sugar levels to rise higher than normal. It's a condition known as hyperglycemia. When you have type 2 diabetes your body does not use insulin properly, a condition known as insulin resistance. The pancreas tries to compensate for it but over time it isn't able to keep up and can't make enough insulin to keep your blood glucose at normal levels. According to the Mayo Clinic there is currently no known cure for type 2 diabetes but the disease can be managed through diet and exercise and maintaining a healthy weight. Medication and insulin therapy helps where lifestyle changes fall short. No one is using the word “cure” just yet but the Salk scientists say the results of the FGF1 experiments may be a big step in that direction. So far they have found no side effects that might reduce the effectiveness of the treatment or prevent some patients from receiving it. The diabetes drugs currently approved for use attempt to boost insulin levels and reverse insulin resistance by altering the expression levels of genes to lower glucose levels in the blood. But the researchers say drugs that increase the body’s insulin production can also cause glucose levels to fall too low and lead to life-threatening hypoglycemia, as well as other side effects. As many breakthroughs are, this one was something of a surprise. The experiment used obese mice as stand-ins for obese, diabetic humans. Evans’ team injected doses of FGF1 into the obese mice with diabetes to see how it affected metabolism. Researchers said they were stunned by what happened: they found that with a single dose, blood sugar levels quickly dropped to normal levels in all the diabetic mice. There's been real progress over the past couple of decades in the way people with diabetes are handling the disease. According to a study conducted and funded by the National Institutes of Health (NIH) and the Centers for Disease Control and Prevention (CDC), more people are meeting recommended goals in the three key markers of diabetes control. The report, published in Diabetes Care, shows that -- from 1988 to 2010 -- the number of people with diabetes able to meet or exceed all three of the measures that demonstrate good diabetes management rose from about 2 percent to about 19 percent. Each measure also showed substantial improvement, with over half of people meeting each individual goal in 2010. The measures are A1C -- which assesses blood sugar (glucose) over the previous three months -- blood pressure and cholesterol. They are often called the ABCs of diabetes. When these measures fall outside healthy ranges, people are more likely to be burdened by complications of diabetes, including heart disease, stroke, kidney disease, blindness and amputation. Improved cholesterol control was likely due to the increase in the use of statins, a type of cholesterol-lowering drug, from about four percent of people with diabetes during 1988-1994 to 51 percent during 2007-2010. Glucose control was worse in Mexican-Americans and in younger adults. Only 44 percent met A1C goals, versus 53 percent of whites and blacks in 2007-2010 data. People between 20-49 years old were less likely to meet A1C goals than older people. Goals for A1C, blood pressure and cholesterol must be individualized for people with diabetes, as effects of diabetes can differ depending on a person’s age, type of diabetes, diabetes medications, complications from diabetes and other factors. For A1C, a goal for many people is below seven percent. It is particularly important for people with long life expectancies to control A1C to protect against eye, nerve and kidney disease in the future. Goals can be less stringent for people with limited life expectancy, since complications develop over time. For blood pressure, the goal for most people is 130/80. Moderate- or high-dose statin therapy is recommended for people over 40 with diabetes, with a goal of keeping the low-density lipoprotein (LDL) -- sometimes called bad cholesterol -- less than 100 milligrams per deciliter. Control of blood pressure and cholesterol are particularly important for lowering cardiovascular risk. About 26 million Americans have diabetes, and another 79 million have prediabetes, a condition that places them at increased risk for developing type 2 diabetes and heart disease. Between 1988 and 2012, the prevalence of diagnosed diabetes has more than doubled, from nearly four percent of the U.S. population to nearly nine percent, according to data from the CDC. To help people improve their health, the National Diabetes Education Program (NDEP), an initiative of the NIH and the CDC, is working to assist people in making positive, lasting changes to improve their health. NDEP’s Make A Plan tool can help make these changes become part of a daily routine to support people in reaching their health goals. The NIDDK's National Diabetes Information Clearinghouse creates and promotes research-based health information and campaigns for the public. Among many publications, the A1C Test and Diabetes explains how this important test can help with diagnosis and management of diabetes. Diabetes is a disease that increasingly strikes Americans. As it turns out, our dogs also suffer from it in increasing numbers. It's called diabetes mellitus, or sugar diabetes. Though any dog can have it, it is most commonly found in miniature schnauzers, German shepherds, golden retrievers and poodles. It strikes females more than males and it usually appears in a dog's middle years – age six to nine. The causes of diabetes in dogs are similar to those in people. The islet cells in the pancreas slow down, failing to produce enough insulin. Without the proper amount of insulin, glucose can't pass into cells and produce energy for metabolism. The result is high blood sugar as well as too much sugar in the urine. How do you know your dog is suffering from diabetes? The symptoms are similar to a human's. The glucose in the urine causes them to urinate frequently. Because they are passing so much fluid, they get dehydrated and drink lots of water. Later, they may become lethargic, stop eating and be prone to vomiting. Often these symptoms are cited by pet owners who blame a particular brand of dog food for their pet's condition. In some cases, these symptoms might have nothing to do with the dog food but the onset of diabetes. Only your vet can tell for sure. The good news is diabetes in dogs is treatable, just as it is in humans. Many veterinarians prescribe daily insulin injections, along with a strict diet. Your vet will decide how much insulin your dog needs. It's hard to predict and will vary, depending on the level of damage to the pancreas. Typically, you are your pet will start the treatment at home. After a week or so of proper diet and daily insulin injection, the vet will want to see the dog again to run some blood tests. The goal is to see when glucose levels rise and fall. 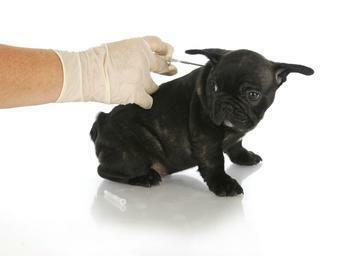 Below is a brief video that demonstrates the way to give your dog an insulin shot. Left untreated, diabetes will affect all the dog's organs. It will result in enlarged livers and hearts and the dog can become easily infected. Sometimes a dog with advanced diabetes will have major problems with its central nervous system. Just as with humans, avoiding obesity makes it easier to treat diabetes. If the dog is obese, it can reduce its responsiveness to insulin. So when your dog is diagnosed with diabetes, it's important to make sure he or she is at a proper weight. If your dog is overweight, institute a high-carbohydrate, high-fiber diet. Try to avoid foods that are high in sugar – they include most soft-moist food and doggie treats. According to the Whole Dog Journal, dogs with diabetes have survival rates similar to those without the disease, as long as they get proper treatment and good care. The greatest risk is early in the treatment and a diabetic dog is more likely to die of complications, like kidney disease, than diabetes itself. Take note and act quickly if your dog exhibits symptoms of diabetes. Some may be subtle at first, but uncharacteristic indoor “accidents” may be a sign that your pet is suffering. Tell your vet exactly what symptoms you have observed. If diabetes is the diagnosis, learn the proper technique for administering insulin shots and commit yourself to it. Ask your vet to recommend a healthy dog food and make sure your pet gets plenty of exercise. In the last decade there has been an explosion in the number of type 2 diabetes cases, coinciding with a massive rise in obesity. The disease is a long-term condition caused by too much glucose, a type of sugar, in the blood. Now, researchers at Newcastle University in the UK say they have found a simple way to reverse it; lose weight. After a small trial, the scientists have concluded that reducing the amount of fat around the pancreas in type 2 diabetes patients returns organ functions to normal. They say this shows that the excess fat in the diabetic pancreas is specific to type 2 diabetes and important in preventing insulin from being made. When that excess fat is removed, insulin secretion increases to normal levels. In other words, they were diabetes free. This isn't the first study to suggest weight loss might reverse type 2 diabetes. Last year, researchers at the Cleveland Clinic found that bariatric surgery – reducing the size of the stomach so the patient loses weight – appeared to be effective in reversing diabetes. Meanwhile, like most chronic diseases, type 2 diabetes is treated with drugs, including the newly approved Jardiance. Roy Taylor, a professor at Newcastle University, says losing weight simply helps patients with type 2 diabetes drain excess fat out of the pancreas, and that allows function to return to normal. In the trial, type 2 diabetes patients saw the fat levels in their pancreas decrease by as much as 1.2% over eight weeks. With an average pancreas for a person with Type 2 diabetes having a volume of 50 ml, this is the equivalent of around 0.6 grams of fat. The patients who had never had diabetes experienced no change in the level of fat in their pancreas. That told the scientists that the increase in fat in the pancreas is specific to people who develop type 2 diabetes. The fat in the pancreas may, in fact, be a trigger for the disease, and individuals vary in how much fat they can tolerate in the pancreas before type 2 diabetes develops. Taylor says the research may transform the thinking about type 2 diabetes and its treatment. Keep in mind, this is a report of research findings. It should not be used by patients to make unilateral decisions about their care or to start or stop prescribed medications. If you have concerns about type 2 diabetes treatments, you should discuss them with your doctor, mentioning this study. 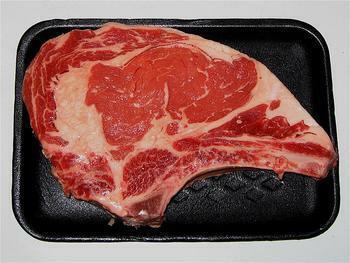 Eating more red meat over time is associated with an increased risk of type-2 diabetes in a follow-up of three studies of about 149,000 U.S. men and women, according to a report published Online First byJAMA Internal Medicine, a JAMA Network publication. “Our results confirm the robustness of the association between red meat and type-2 diabetes and add further evidence that limiting red meat consumption over time confers benefits for diabetes prevention,” the researchers concluded. But a commentary accompanying the study noted that the emphasis might be better placed on limiting saturated fat. “A recommendation to consume less red meat may help to reduce the epidemic of type-2 diabetes. However, the overwhelming preponderance of molecular, cellular, clinical and epidemiological evidence suggests that public health messages should be directed toward the consumption of high-quality protein that is low in total and saturated fat," said William J. Evans, Ph.D., of GlaxoSmithKline and Duke University, Durham, N.C.
"These public health recommendations should include cuts of red meat that are also low in fat, along with fish, poultry and low-fat dairy products. It is not the type of protein (or meat) that is the problem: it is the type of fat,” Evans concludes. Red meat consumption has been consistently related to an increased risk of type-2 diabetes, but previous studies measured red meat consumption at a baseline with limited follow-up information. However, a person’s eating behavior changes over time and measurement of consumption at a single point in time does not capture the variability of intake during follow-up, the authors note in the study background. During more than 1.9 million person-years of follow-up, researchers documented 7,540 incident cases of type-2 diabetes. The results indicate that compared with a group with no change in red meat intake, increasing red meat intake of more than 0.50 servings per day was associated with a 48 percent elevated risk in the subsequent four-year period. Reducing red meat consumption by more than 0.50 servings per day from baseline to the first four years of follow-up was associated with a 14 percent lower risk during the subsequent entire follow-up. As the number of people diagnosed with diabetes continues to grow, so does the number of illegally sold products promising to prevent, treat, and even cure diabetes. That's prompted the Food and Drug Administration (FDA) to warn consumers against using such products. The agency cites a number of problems with these products: they may contain harmful ingredients or may be otherwise unsafe, or may improperly be marketed as over-the-counter (OTC) products when they should be marketed as prescription products; they carry an additional risk if they cause consumers to delay or discontinue effective treatments for diabetes. Without proper disease management, people with diabetes are at a greater risk for developing serious health complications. "People with chronic or incurable diseases may feel desperate and become easy prey,” said Gary Coody, R.Ph., national health fraud coordinator for FDA. “Bogus products for diabetes are particularly troubling because there are effective options available to help manage this serious disease rather than exposing patients to unproven and risky products. Failure to follow well-established treatment plans can lead to, among other things, amputations, kidney disease, blindness and death." Some of the companies also promote unapproved products for other serious diseases, including cancer, sexually transmitted diseases and macular degeneration. FDA tested products marketed as "all natural" treatments for diabetes and discovered some of them contained one or more active ingredients found in prescription drugs to treat type 2 diabetes. Undeclared ingredients can cause serious harm. If consumers and their health care professionals are unaware of the actual ingredients in the products they are taking, these products may interact in dangerous ways with other medications. One possible complication: Patients may end up taking a larger combined dose of the diabetic drugs than they intended, and that may cause a significant unsafe drop in blood sugar levels, a condition known as hypoglycemia. 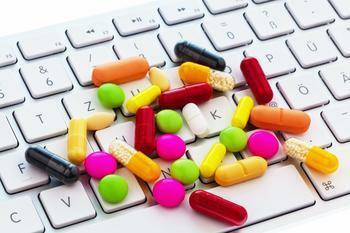 FDA also looked at sales of prescription drugs from fraudulent online pharmacies. Signs that indicate an online pharmacy is legitimate include: requiring that patients have a valid prescription; providing a physical address in the U.S.; being licensed by a state pharmacy board; and having a state-licensed pharmacist to answer questions. Some fraudulent online pharmacies illegally sell drugs that are not approved in the United States, or sell prescription drug products without meeting necessary requirements. One website that is subject to a warning letter shipped a prescription diabetes drug without requiring a prescription, and even included an unsolicited free sample of a prescription drug for erectile dysfunction. Moreover, the prescription diabetes drug was dispensed without the medication guide and other precautions required by FDA to ensure the drug is used safely and appropriately. Although some of these websites may offer for sale what appear to be FDA-approved prescription drugs, FDA cannot confirm that the manufacture or the handling of these drugs follows U.S. regulations or that the drugs are safe and effective for their intended uses. Also, there is a risk the drugs may be counterfeit, contaminated, expired or otherwise unsafe. There are 26 million people in the U.S. with diabetes, including about 7 million who are undiagnosed, according to the Centers for Disease Control and Prevention. www.cdc.gov Millions more have pre-diabetes, meaning they have higher than normal blood sugar levels and can reduce their risks of developing diabetes through healthy lifestyle changes, including diet and exercise. "Products that promise an easy fix might be alluring, but consumers are gambling with their health. In general, diabetes is a chronic disease, but it is manageable and people can lower their risk for developing complications by following treatments prescribed by health care professionals, carefully monitoring blood sugar levels, and sticking to an appropriate diet and exercise program," said Coody. There's been a turnaround of sorts in some of the complications suffered by people with diabetes. 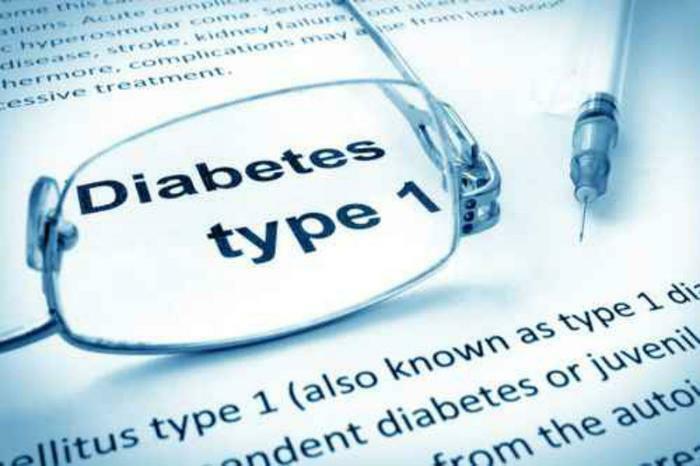 According to a study by the Centers for Disease Control and Prevention (CDC), rates of five major diabetes-related complications among U.S. adult diabetics have declined substantially in the last 20 years. The study, published in the current issue of the New England Journal of Medicine, found that rates of lower-limb amputation, end-stage kidney failure, heart attack, stroke, and deaths due to high blood sugar (hyperglycemia) all declined. Cardiovascular complications and deaths from high blood sugar decreased by more than 60% each, while the rates of both strokes and lower extremity amputations -- including upper and lower legs, ankles, feet, and toes -- declined by about half. Rates for end stage kidney failure fell by about 30%. Because the number of adults reporting diabetes during this time frame more than tripled -- from 6.5 million to 20.7 million -- these major diabetes complications continue to put a heavy burden on the U.S. health care system. Nearly 26 million Americans have diabetes and an additional 79 million have prediabetes and are at risk of developing the disease. Diabetes and its complications account for $176 billion in total medical costs each year. CDC researchers used data from the National Health Interview Survey, National Hospital Discharge Survey, U.S. Renal Data System, and Vital Statistics, to examine trends in the occurrence of diabetes-related complications in the United States between 1990 and 2010. Although all complications declined, the greatest declines in diabetes-related complications occurred for heart attack and stroke -- particularly among people aged 75 years and older. 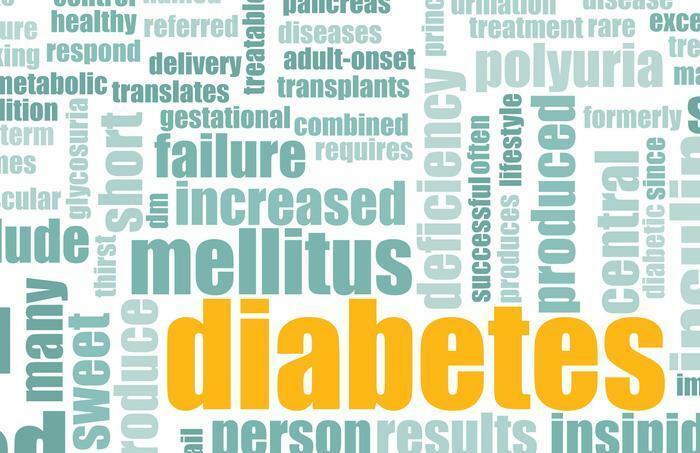 The study authors attribute the declines in diabetes-related complications to increased availability of health care services, risk factor control, and increases in awareness of the potential complications of diabetes. 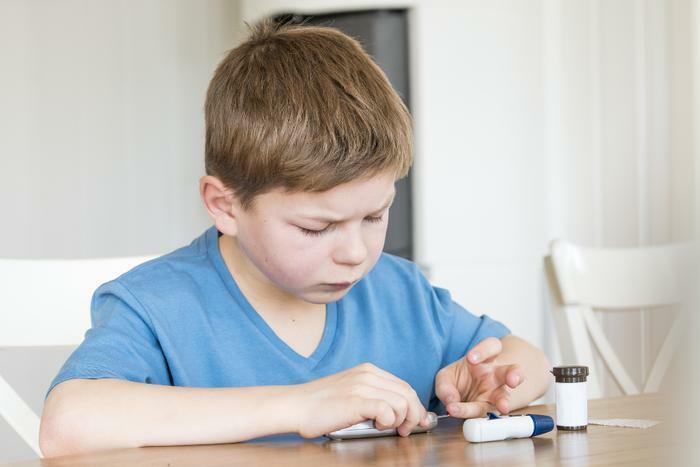 A study of more than three million American children and adolescents finds a "significant" increase in both type 1 and type 2 diabetes occurred between 2001 and 2009. Despite widespread concern about a diabetes "epidemic," there has been limited data to support the concern. "The increases in prevalence reported herein are important because such youth with diabetes will enter adulthood with several years of disease duration, difficulty in treatment, an increased risk of early complications, and increased frequency of diabetes during reproductive years, which may further increase diabetes in the next generation," the researchers write. "Further studies are required to determine the causes of these increases." The study appears in the May 7 issue of JAMA, a theme issue on child health. This issue is being released early to coincide with the Pediatric Academic Societies Annual Meeting. In 2001, the prevalence of type 1 diabetes among a population of 3.3 million was 1.48 per 1,000, which increased to 1.93 per 1,000 among 3.4 million youth in 2009, which, after adjustment, indicated an increase of 21 percent over the 8-year period. The greatest prevalence increase was observed in youth 15 through 19 years of age. Increases were observed in both sexes and in white, black, Hispanic, and Asian Pacific Islander youth. "Historically, type l diabetes has been considered a disease that affects primarily white youth; however, our findings highlight the increasing burden of type l diabetes experienced by youth of minority racial/ethnic groups as well," the authors write. Dana Dabelea, M.D., Ph.D., of the Colorado School of Public Health, Aurora, Colo., and Elizabeth J. Mayer-Davis, Ph.D., of the University of North Carolina, Chapel Hill, and colleagues with the SEARCH for Diabetes in Youth Study, conducted the study. Type 1 diabetes is generally regarded as genetic, but new experiments on mice show that mouse mothers can protect their pups from developing type 1 diabetes by eating a gluten-free diet and reseachers at the University of Copenhagen say the findings may apply to humans. "Preliminary tests show that a gluten-free diet in humans has a positive effect on children with newly diagnosed type 1 diabetes. We therefore hope that a gluten-free diet during pregnancy and lactation may be enough to protect high-risk children from developing diabetes later in life," said assistant professor Camilla Hartmann Friis Hansen from the Department of Veterinary Disease Biology, Faculty of Health and Medical Sciences. The findings have recently been published in the journal Diabetes. 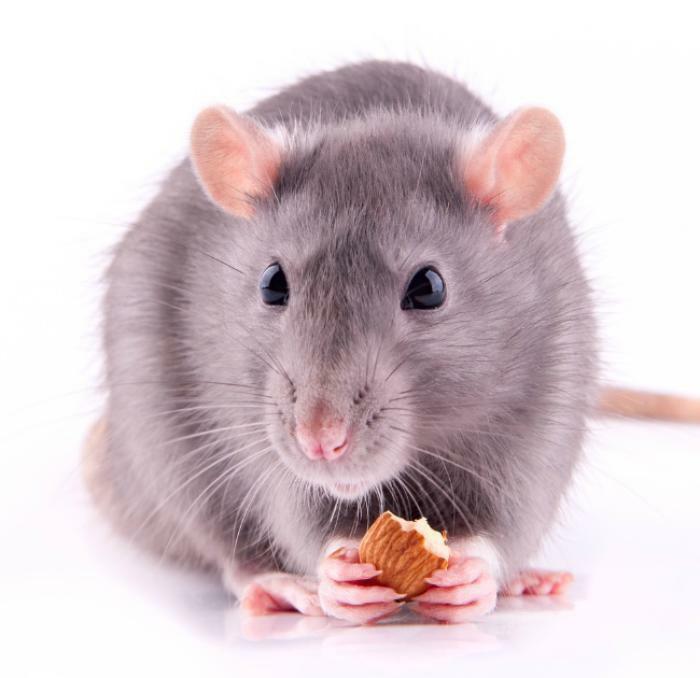 Findings from experiments on mice are not necessarily applicable to humans, but the study's co-author, Prof. Axel Kornerup, says that may not be the case with diabetes. "Early intervention makes a lot of sense because type 1 diabetes develops early in life. We also know from existing experiments that a gluten-free diet has a beneficial effect on type 1 diabetes," he said. Experiments of this type have been going on since 1999, originally initiated by Prof. Karsten Buschard from the Bartholin Institute at Rigshospitalet in Copenhagen, another co-writer on the study. The experiment showed that the diet changed the intestinal bacteria in both the mother and the pups. The intestinal flora plays an important role for the development of the immune system as well as the development of type 1 diabetes, and the study suggests that the protective effect of a gluten-free diet can be ascribed to certain intestinal bacteria. The advantage of the gluten-free diet is that the only side effect seems to be the inconvenience of having to avoid gluten, although more research is needed to be certain. "We have not been able to start a large-scale clinical test to either prove or disprove our hypothesis about the gluten-free diet," Buschard said. With diabetes cases growing rapidly in the last decade, more people are sensitive to possible symptoms. But if you're approaching 50 it's very easy to confuse real symptoms of diabetes with normal signs of aging. For example, your vision and hearing may be degrading. Cuts and bruises take longer to heal. It could be a sign of diabetes. Then again, it could just be a sign you're getting older. It's important to be able to tell the difference. As you get older you have an greater risk of developing type 2 diabetes. If you are overweight – even just as little as 10 pounds overweight – your diabetes risk rises. Genes play a role too, not just in developing diabetes but also high blood pressure, high triglyceride levels and low HDL cholesterol. If you are African American, Latino, American Indian or Asian you also may be at higher risk. Complicating things further is the fact that type 2 diabetes symptoms tend to be more subtle. Often you have the disease and don't know it. In fact, an estimated 7 million people with the disease are unaware of it. Type 2 diabetes affects the way your body metabolizes sugar – or glucose -- your body's main source of fuel. A healthy body turns glucose into energy but if you have type 2 diabetes the glucose continues to build, leading to high blood sugar, causing a variety of symptoms. Communication problems: you have a hard time understanding people when they talk. Your eyesight seems to be failing, causing you to squint. Hearing loss may just be a matter of age but is twice as common in people with diabetes as in those who don’t have the disease, according to research. Feeling tired and grouchy: this could be because you're getting older and having a more difficult time doing the things you once did. But if you have type 2 diabetes your body isn’t effectively converting glucose in your blood to energy. As a result you usually feel exhausted and, when you’re tired, you tend to be irritable. Odd symptoms: have you recently developed dry, itchy skin? Or maybe you've noticed darkening and velvety patches of skin around your neck or other parts of the body. Does it take cuts and bruises a long time to heal? Have you felt tingling and numbness in your hands and feet? Many of these symptoms occur because the blood vessels and nerves are damaged by the excessive amounts of glucose. Other diabetes symptoms include feeling hungry all the time or needing frequent bathroom breaks. If you have diabetes you have an excess of glucose and your body tries to get rid of the glucose that’s building in your blood by causing you to urinate frequently. When you do you lose a lot of fluid, making you dehydrated and thirsty. According to the National Institutes of Health (NIH) type 2 diabetes usually occurs slowly over time. 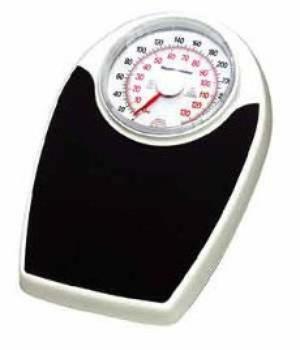 In most cases people with the disease are overweight when they are diagnosed. Increased fat makes it harder for your body to use insulin the correct way. If you are unsure your symptoms are diabetes or age related, by all means ask your doctor. Fortunately, type 2 diabetes is treatable, often without medication – just lifestyle changes. A growing number of people in the U.S. have diabetes -- and a lot of them don't know it. According to a report released by the Centers for Disease Control and Prevention (CDC), more than 29 million people in this country diabetes 3 million more than the CDC estimated in 2010. The scary thing is that 25% of those who have it don't know. Another 86 million adults in the U.S. -- that's more than one -- have predicates, where their blood sugar levels are higher than normal but not high enough to be classified as type 2 diabetes. Without weight loss and moderate physical activity, 15-to-30% of them will develop type 2 diabetes within 5 years. 29 million people in the United States (9.3%) have diabetes. 1.7 million people aged 20 years or older were newly diagnosed with diabetes in 2012. Non-Hispanic black, Hispanic, and American Indian/Alaska Native adults are about twice as likely to have diagnosed diabetes as non-Hispanic white adults. 208,000 people younger than 20 years have been diagnosed with diabetes (type 1 or type 2). 86 million adults aged 20 years and older have predicates. The percentage of U.S. adults with predicates is similar for non-Hispanic whites (35%), non-Hispanic blacks (39%) and Hispanics (38%). Diabetes is a serious disease that can be managed through physical activity, diet, and appropriate use of insulin and oral medications to lower blood sugar levels. Another important part of diabetes management is reducing other cardiovascular disease risk factors, such as high blood pressure, high cholesterol and tobacco use. People with diabetes are at increased risk of serious health complications including vision loss, heart disease, stroke, kidney failure, amputation of toes, feet or legs, and premature death. In 2012, diabetes and its related complications accounted for $245 billion in total medical costs and lost work and wages. This figure was $174 billion in 2007. Statins -- the drugs that lower cholesterol -- have no doubt saved many lives by preventing heart attacks. But they can also have a devastating side effect, raising the risk of diabetes in some users. Now, Canadian researchers at McMaster University say they have found one of the pathways that link statins to diabetes, a key tool in developing the next generation of statins. "Statins are among the most prescribed drugs in the world, and have been fantastic at reducing cardiovascular events," said McMasters researcher Jonathan Schertzer. "But the side effects of statins can be far worse than not being able to eat grapefruit. 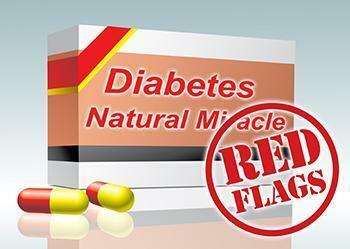 Recently, an increased risk of diabetes has been added to the warning label for statin use. This was perplexing to us because if you are improving your metabolic profile with statins you should actually be decreasing the incidence of diabetes with these drugs, yet, the opposite happened." "We found that statins activated a very specific immune response, which stopped insulin from doing its job properly. So we connected the dots and found that combining statins with another drug on top of it, Glyburide, suppressed this side effect." He says the finding has the potential to develop new targets for this immune pathway that do not interfere with the benefits of statins. Schertzer emphasized that statins are important and widely prescribed drugs and understanding how they promote adverse effects may lead to necessary improvements in this drug class, which has the potential to affect a large segment of the population. "With the new federal warning label on the risk of diabetes with statin usage, people are heavily debating its pros and cons. We think this is the wrong conversation to have. Statins are a great drug for many people. What we really should be talking about is how to make them better and we are beginning to understand the basic biology of statins so we can do just that." The research is published in the medical journal Diabetes and was supported by funding from the Canadian Institutes of Health Research and the Canadian Diabetes Association. Jardiance (empagliflozin) tablets have been given the green light to be used to improve glycemic control in adults with type 2 diabetes. Approximately 26 million people are affected by type 2 diabetes, which accounts for more than 90% of diabetes cases diagnosed in the U.S. Over time, high blood sugar levels can increase the risk for serious complications, including heart disease, blindness, and nerve and kidney damage. Jardiance is a sodium glucose co-transporter 2 (SGLT2) inhibitor. It works by blocking the reabsorption of glucose (blood sugar) by the kidney, increasing glucose excretion, and lowering blood glucose levels in diabetics who have elevated blood glucose levels. The drug’s safety and effectiveness were evaluated in seven clinical trials with 4,480 patients with type 2 diabetes receiving Jardiance. The pivotal trials showed that Jardiance improved hemoglobin A1c levels (a measure of blood sugar control) compared to placebo. Jardiance has been studied as a stand-alone therapy and in combination with other type 2 diabetes therapies including metformin, sulfonylureas, pioglitazone, and insulin. It should not be used: to treat people with type 1 diabetes; in those who have increased ketones in their blood or urine (diabetic ketoacidosis); and in those with severe renal impairment, end stage renal disease, or in patients on dialysis. Completion of a continuing cardiovascular outcomes trial. A pediatric safety and efficacy study. As part of the safety and efficacy study, the effect on bone health and development will be evaluated. A nonclinical (animal) juvenile toxicity study with a particular focus on renal development, bone development, and growth. Jardiance can cause dehydration, leading to a drop in blood pressure (hypotension) that can result in dizziness and/or fainting and a decline in renal function. The elderly, patients with impaired renal function, and patients on diuretics to treat other conditions appeared to be more susceptible to this risk. Jardiance is distributed by Boehringer Ingelheim Pharmaceuticals of Ridgefield, Conn.
Princeton University researchers have developed a way to use a laser to measure people's blood sugar, and, with more work to shrink the laser system to a portable size, the technique could allow diabetics to check their condition without pricking themselves to draw blood. "We are working hard to turn engineering solutions into useful tools for people to use in their daily lives," said Claire Gmachl, the project's senior researcher. "With this work we hope to improve the lives of many diabetes sufferers who depend on frequent blood glucose monitoring." 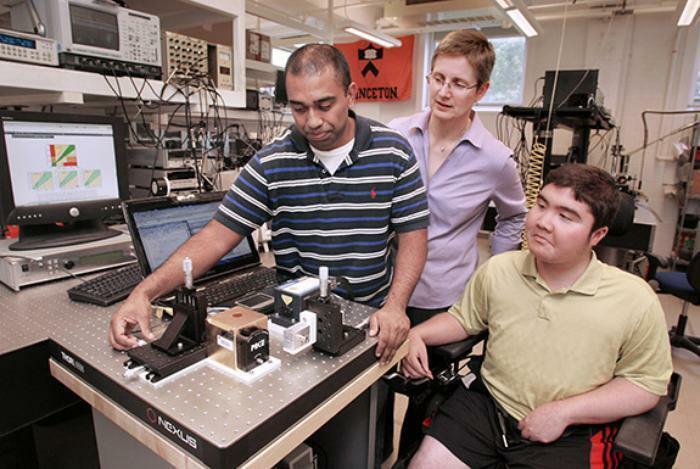 In an article published June 23 in the journal Biomedical Optics Express, the researchers describe how they measured blood sugar by directing their specialized laser at a person's palm. The laser passes through the skin cells, without causing damage, and is partially absorbed by the sugar molecules in the patient's body. The researchers use the amount of absorption to measure the level of blood sugar. Sabbir Liakat, the paper's lead author, said the team was pleasantly surprised at the accuracy of the method. 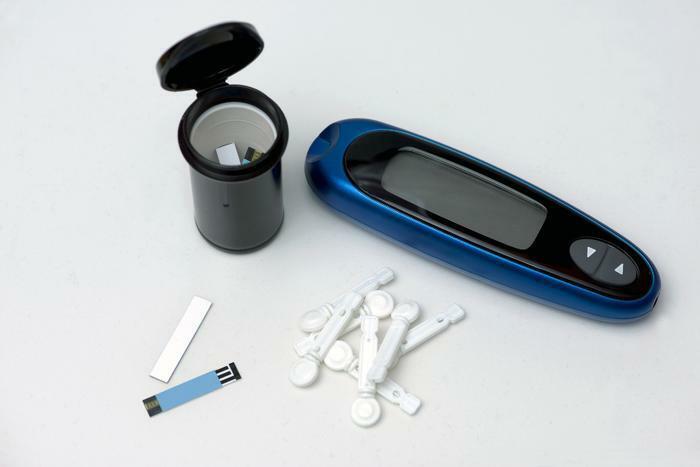 Glucose monitors are required to produce a blood-sugar reading within 20% of the patient's actual level; even an early version of the system met that standard. The current version is 84% accurate, Liakat said. Diabetes comes in a variety of different forms. The most common form of the disease, type 2 diabetes, results from cells in the body not using insulin as well as they should. Type 1 diabetes (T1D), however, is much rarer, and results when the body simply can’t produce its own insulin at all. People who have this condition must take part in insulin therapy and other treatments in order to live a full and healthy life. Scientists from Uppsala University have investigated the disease thoroughly, and believe that a certain protein found in the body could potentially provide a cure. The protein in question is called interleukin-35 (IL-35), and it is made of immune cells. Dr. Kailash Singh, who is a PhD student at Uppsala University, began studying this immune cell when she was examining T1D in rat models. In her research, she found that immune regulatory T-cells in the models were producing pro-inflammatory destructive proteins instead of IL-35, which is an anti-inflammatory protein. This reversal is the exact opposite of what should be happening in a normal body, and Singh believes that it may be something that is prompted by T1D. “This suggests that the good guys (the anti-inflammatory proteins) have gone bad in early development of Type 1 diabetes and therefore our immune cells destroy the beta cell,” she said. As a result of this destructive process, Singh found that the levels of IL-35 that should have been present in the models were much lower than they should be. These low levels indicate that the protein may play a crucial role in stopping T1D. The research team that Singh was a part of, which was led by Professor Stellan Sandler, set out to find if IL-35 could suppress or reverse T1D, even if the disease was already established. The team utilized mice who had been injected with a chemical that induced symptoms of T1D. After the symptoms had been established for two days, the researchers injected them with IL-35 to see if their blood glucose levels normalized. Their findings show that the blood glucose levels in the mouse models stabilized after they were given the injections. In addition to this finding, the researchers were also able to test IL-35 injections against a specific model of T1D, called non-obese diabetic mouse (NOD). Even after the IL-35 treatments were stopped, diabetic symptoms did not return in any of the subjects. "To the best of our knowledge, we are the first to show that IL-35 can reverse established Type 1 diabetes in two different mouse models and that the concentration of the particular cytokine is lower in Type 1 diabetes patients than in healthy individuals. Also, we are providing an insight into a novel mechanism: how immune regulatory T cells change their fate under autoimmune conditions", said Singh. Over 29 million people in the U.S. have diabetes, and over eight million who have it are undiagnosed, according to a 2014 statistical analysis. Although the disease affects so many, it has been hard for scientists and researchers to nail down a cure. This is due, in part, to the fact that the disease can take different forms, and there are still some things that researchers do not know about them. However, a recent study conducted at the University of Pennsylvania has shed some light on type 2 diabetes. Researchers at the Perelman School of Medicine believe that they have finally found the cause of insulin resistance, which is characteristic of this particular type of the disease. Many people attribute insulin resistance to fluctuating sugar levels in the body, but researchers say that it also has to do with the amount of fat in the body. In particular, too much fat inside of skeletal muscle is one main cause of insulin resistance. With this in mind, scientists went about trying to find out how excess fat could be removed from skeletal muscle. If this fat could be removed, they reasoned, then it would also be possible to prevent insulin resistance from occurring. But in order to do that, there were some questions that had to be answered first. In order to answer these questions, Dr. Arany and his team began examining amino acids and what happened when they broke down. They found that when these compounds broke down, a byproduct called 3-HIB was created. After being secreted by muscle cells, 3-HIB activated certain cells which resulted in more fat being stored in skeletal muscle tissue. Researchers observed this phenomenon in mice and saw that when it happened it led to insulin resistance. By blocking 3-HIB from synthesizing, researchers were able to keep excess fat from going to the skeletal muscle and insulin resistance was no longer a problem. Dr. Arany is quick to note that 3-HIB byproducts are also plentiful in humans who have type-2 diabetes, so although there will need to be more research to prove that there is a link, he is confident that one may be discovered in the future. “The discovery of this novel pathway – the way the body breaks down these amino acids that drives more fat into the muscles – opens new avenues for future research on insulin resistance, and introduces a conceptually entirely new way to target treatment for diabetes,” he said. The full study has been published in Nature Medicine. Oftentimes, scientists and medical experts need to look at the most minute details in order to understand the human body and the diseases that affect it. And since technology in the field is advancing all the time, they are able to do it to a greater degree. In that vein, new research on how the body produces insulin may allow future therapies to evolve that better treat diabetes. Dr. Markus Grompe, who is best known for his work with stem cells, has found that there are at least four subtypes of insulin-producing beta cells in humans. It is the first study of its kind that has identified multiple types of such cells, and the information could mean a lot. “Further understanding of cell characteristics could be the key to uncovering new treatment options, as well as the reason why some people are diabetic and others are not,” explained Grompe. Diabetes currently affects over 29 million people in the U.S. alone, and it occurs when a person’s insulin-producing beta cells are disrupted or cease to function. Without these cells doing their job, a person loses their ability to regulate their blood sugar levels, which can result in extreme fatigue, weight loss, vision ailments, pain in the extremities, and nerve damage, to name a few. Up until this point, the medical community had thought that only one type of beta cell existed, but Grompe and his colleagues were able to isolate beta cells and classify three additional types. Additionally, they found that there are hundreds of genes that differently express cell types, which leads to varying production of insulin in the body. The differences between these genes and cells could explain the differences between the types of diabetes and why certain people are susceptible to them. “Some of the cells are better at releasing insulin than others, whereas others may regenerate quicker. Therefore, it is possible that people with different percentages of the subtypes are more prone to diabetes,” Grompe explains. The next step for the researchers will be to attempt to understand how different cell subtypes are created so that they can create an approach for medical treatment. The full study has been published in the journal Nature Communications. There's a lot of talk about the high cost of health care, but do you know which conditions contribute most to health care spending? If you said diabetes, you're right -- a new study finds diabetes costs $101 billion annually in diagnosis and treatment and is growing 36 times faster than the cost of heart disease, the leading cause of death and the second most-expensive condition. "While it is well known that the US spends more than any other nation on health care, very little is known about what diseases drive that spending." said Dr. Joseph Dieleman, lead author of a paper published in JAMA and Assistant Professor at the Institute for Health Metrics and Evaluation (IHME) at the University of Washington. "IHME is trying to fill the information gap so that decision-makers in the public and private sectors can understand the spending landscape, and plan and allocate health resources more effectively." In fact, the study found that just 20 conditions make up more than half of all spending on health care in the United States. While diabetes and heart disease primarily affected consumers 65 and over, lower back and neck pain, the third-most-expensive condition, primarily strikes adults of working age. These three top spending categories, along with hypertension and injuries from falls, comprise 18% of all personal health spending and totaled $437 billion in 2013. This study distinguishes between spending on public health programs from personal health spending, including both individual out-of-pocket costs and spending by private and government insurance programs. It covers 155 conditions. Women ages 85 and older spent the most per person in 2013, at more than $31,000 per person. More than half of this spending (58%) occurred in nursing facilities, while 40% was expended on cardiovascular diseases, Alzheimer's disease, and falls. Less than 10% of personal health care spending is on nursing care facilities, and less than 5% of spending is on emergency department care. The conditions leading to the most spending in nursing care facilities are Alzheimer's and stroke, while the condition leading to the most spending in emergency departments is falls. The U.S. Food and Drug Administration has approved Tradjenta (linagliptin) tablets, used with diet and exercise, to improve blood glucose control in adults with Type 2 diabetes. Diabetes, a disease that can be a complication of obesity, has exploded in the last three decades, with the number of people with the disease doubling since 1980. A major international study collating and analyzing worldwide data on diabetes counted 347 million with the disease in 2008. The research, published in the British medical journal Lancet, found that the rate of diabetes cases has risen, or stayed the same, in virtually every part of the world since 1980. The U.S. Food and Drug Administration approved Exubera, Pfizers inhaled human insulin, for the treatment of adults with type 1 and type 2 diabetes. The European Commission had also approved the drug earlier Friday. The company created some confusion in making the announcement Friday morning when it told business cable TV channel CNBC that it had received FDA approval, an announcement that turned out to be a few hours premature. The FDA approval came through later Friday. The U.S. Food and Drug Administration has approved Victoza, whose generic name is liraglutide, a once-daily injection to treat type 2 diabetes in some adults. Victoza is intended to help lower blood sugar levels along with diet, exercise, and selected other diabetes medicines. It is not recommended as initial therapy in patients who have not achieved adequate diabetes control on diet and exercise alone, the FDA said. People with type 1 diabetes must carefully monitor their blood sugar levels and that usually requires regular sticks with a needle. So a report in the Annals of Internal Medicine about new research at Johns Hopkins is sure to stir some interest. Newer technologies such as insulin pumps and blood sugar sensors, which provide an alternative to multiple daily insulin shots a day, actually work better according to the Johns Hopkins researchers. 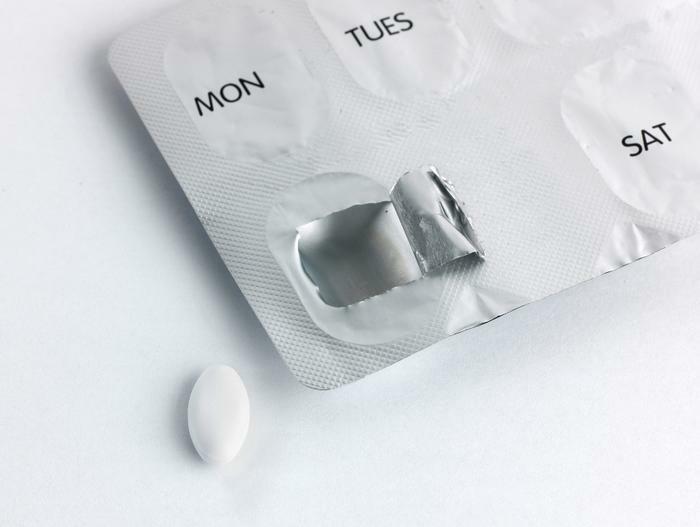 The U.S. Food and Drug Administration (FDA) has approved the first generic version of Actos (pioglitazone hydrochloride) tablets. Along with diet and exercise, pioglitazone is used to improve blood glucose control in adults with type 2 diabetes. Mylan Pharmaceuticals, based in Morgantown, W. Va., gained FDA approval for 15 milligram, 30 mg and 45 mg pioglitazone tablets.